Honda perfected the passenger car engine in the early 80s by delivering quality and horsepower. Many of the famous JDM Honda engines that are in use today came from this research and development period. After dismal sales in the 1970s, Honda regrouped and entered the mission to take control of the U.S. auto market. By creating fuel efficient engines, Honda was able to rise above the gas guzzling engines that were and are still produced by many automakers today. JDM engines are a breed of their own and no other Japanese automaker has put as much time into development as Honda. Our inventory of JDM engines is massive. Since our Honda engines come directly from overseas, we have to buy these engines in huge container shipments. This accomplishes two things for us and you. The first is that we get a lower price per engine because we literally buy hundreds at a time. The second thing is that our inventory is always full making it easy to find what customers want. Just because you don’t need a B16A2 or a B18C1 today does not mean you won’t need one in the future. When that happens, you know where to buy your JDM Honda engines. Some dealers might claim that since JDM engines generally have low mileage that no warranty is needed. We don’t feel that way. We know a problem can creep up without warning and leave you stranded when you depend on your Honda engine the most. Our Honda mechanics computer test and visually inspect every engine that comes through our engine ship. We do this to make sure you get what you pay for and we can verify if problems exist internally. An engine might look great on the exterior, but it is when the engine is fired up that a problem can be detected. We include our warranty totally free of charge. We also ship any engine that is ordered immediately after the order is processed. We are not an intermediary. We have the engines that we claim to have in stock. Our expert team of freight specialists wrap and crate our Honda engines professionally. We have found that this combination and our choice of freight carriers is what protects us from damage claims. We care about the Honda motors that we sell to you and don’t want our reputation ruined by careless shipments. When you call 1-877-630-3873, your quote is delivered right over the phone with no waiting. Our price will do two things for you. It will surprise you and convince you that you are dealing with experts in the Honda engines business. You don’t have to get our low price by calling us on the phone. Our online Honda quote form is easy to use and just as fast. Type your information into our form and your price is sent to the email address you provide. We don’t keep you waiting. 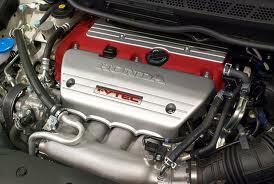 Our JDM Honda engines are all high quality and ready to be placed into your Honda vehicle.